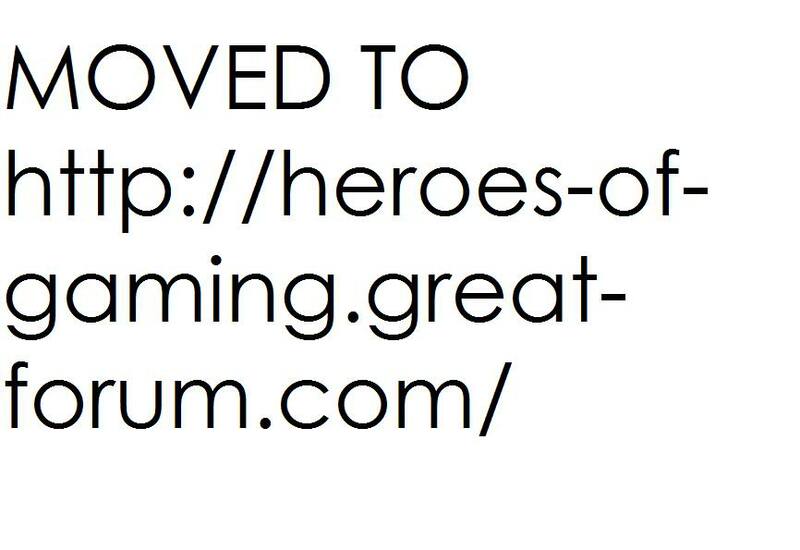 MOVED TO: http://heroes-of-gaming.great-forum.com/ » News Area » News » HoS3 formed. As of yesterday, I am proud to announce the creation of HoS3, our new subordinate dealing with Age of Empires 3! Age of Empires 3 does not have a strong roleplay community, so we will be hosting a subordinacy called "Heroes of Strategy 3". I hope that our new subordinacy develops and grows to fruition. It is currently led by me, but our most active users on AoE3 are Vult and Codie. I am hoping that, after a week or two, one of them will be in position to step up for the job and take control of the subordinacy. Iv'e downloaded the Trial for AoE3, If I find it to be a good game, I will consider buying it. What does HoS3 stand for? I assume the 3 is for AoE3, but why not just HoS? Does one already exist? Oh, you already wrote it in the original post - sorry! Refering to our conversation on the subject. Wouldn't it be easier to have just HoS, instead of HoS3, HoS2, and HoS1? You could say HoS is the clan for AoE, regardless of which version. The publicity would be so much better if the clan names were all the same. Just saying. HoRC_Lord_Yankee wrote: Refering to our conversation on the subject. Can anyone tell me if they think it is good? Don't wanna waste the money to get it if it wont be worth it. Support sucked on AOE3 when I asked them that I forgot my pw to my AOE3 login, and you can only have one login per CD key lol. Lawrencius wrote: Support sucked on AOE3 when I asked them that I forgot my pw to my AOE3 login, and you can only have one login per CD key lol. The one login per CD key is going to a problem for clans with ranks, but otherwise, it isn't such a bad idea. As Hades said, someone like Jinx would have to buy a lot of CDs to do what he did in AoM. In fact, it is a problem for clans anyway. If you plan on making a clan, the idea would be to recruit members within the game, but those in the game already made an account. How will they make another account with the tag? No need, AoE3 has clan support so making new tags isnt necessary. Please elaborate on this "clan support". Haven't played AoE3 for ages - still got it though - but I think they have a 'clan tag' system.